November 18th-20th, 2016, the WPH Film Crew heads to Minneapolis, MN, for a first–A tour stop at the University of Minnesota! As you recall, the WPH held a pro tournament six years back in Fridley, MN (home of the 2016 USHA 4 Wall Nationals) when Chapman def’d Lenning in the men’s finals, however that was before the Race4Eight Professional Tour kicked off. Years later now, the WPH strolls down the road to the rec center at the U of M for a return visit and you are invited to play or watch. WPH will feature 40+ Senior Pros, Qualifiers & Elite Men. Qualifiers will play Friday morning after 8am and will play one game matches to 25. Eight qualifiers will then be placed into a draw of Eight Named pros to make a super round of 16. The qualifier may be capped at 32. 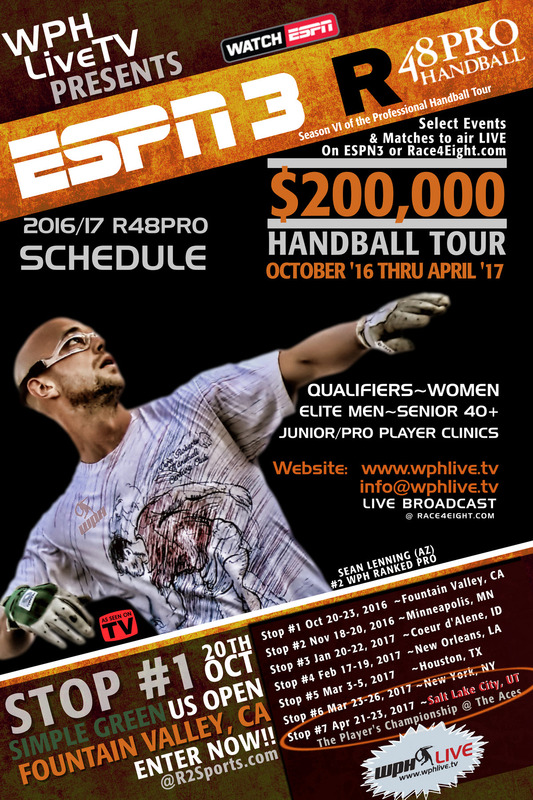 WPH will film and broadcast these games at www.race4eight.com & ESPN or you can watch court side. WPH SR40+ players & Elite Eight Pros will play a best two of three to 15 format, win by two; both divisions play with the R48Pro Ball; both divisions begin Friday as early as 2pm. Contact the WPH for details info@wphlive.tv.